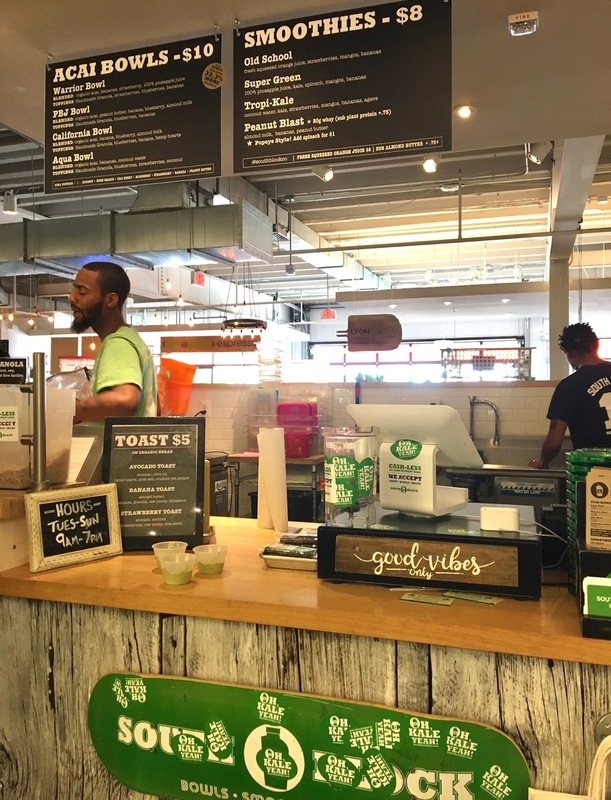 All of South Block's smoothie blends are gluten-free and dairy-free, and have all of their ingredients listed out. Some combinations do include nuts (almond or peanut) as well as coconut. 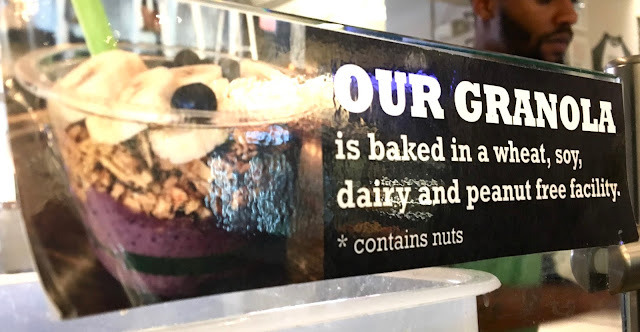 Even their toppings are safe- as their granola is made in a wheat, soy, dairy, and peanut-free facility (but it also contains nuts). I decided to order the PBJ bowl, which features a base of acai, peanut butter, banana, blueberries, and almond milk. Topping the bowl is South Block's granola, blueberries, and banana. 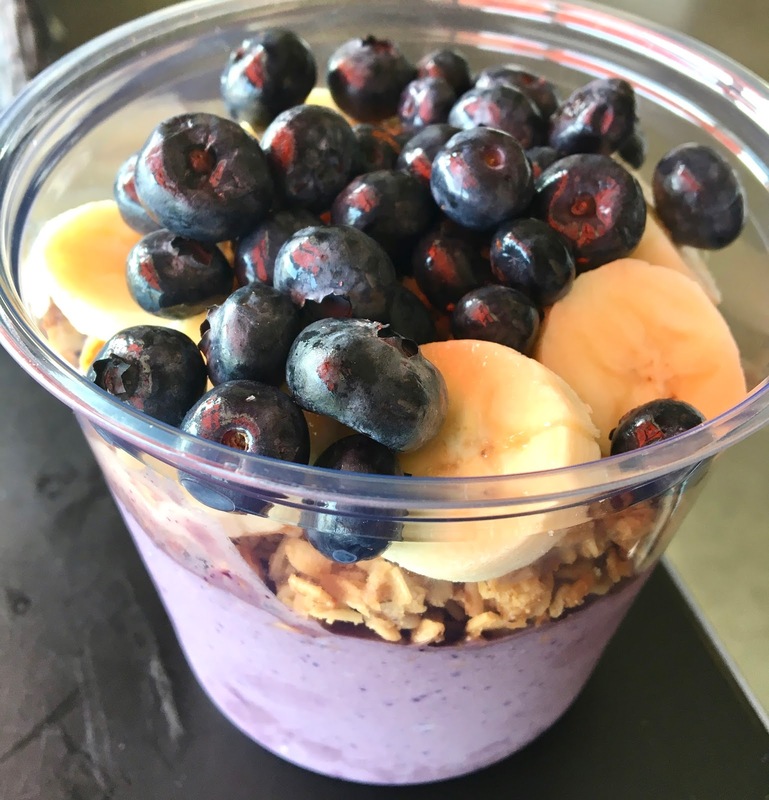 I loved the texture contrast with every spoonful- the luxuriously thick blend of the base, the creaminess of banana, the crunch of granola, and the plump firmness of the blueberries. The bowl balanced the flavors beautifully, and perfectly captured the essence of what a pb & j sandwich (with banana) can and should be. 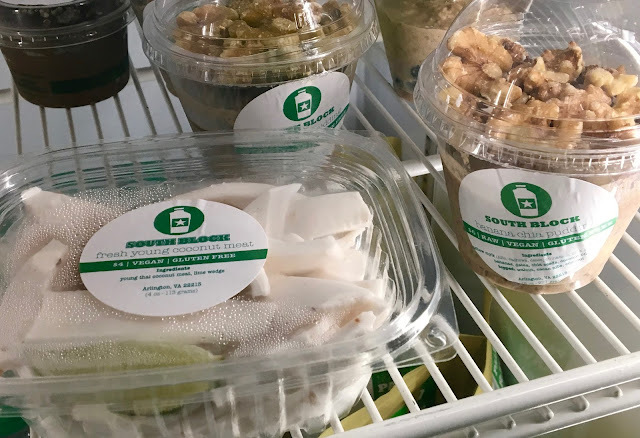 In addition to smoothies and bowls, South Block has a case of grab and go options including juices, raw prepared foods, and ingredients. 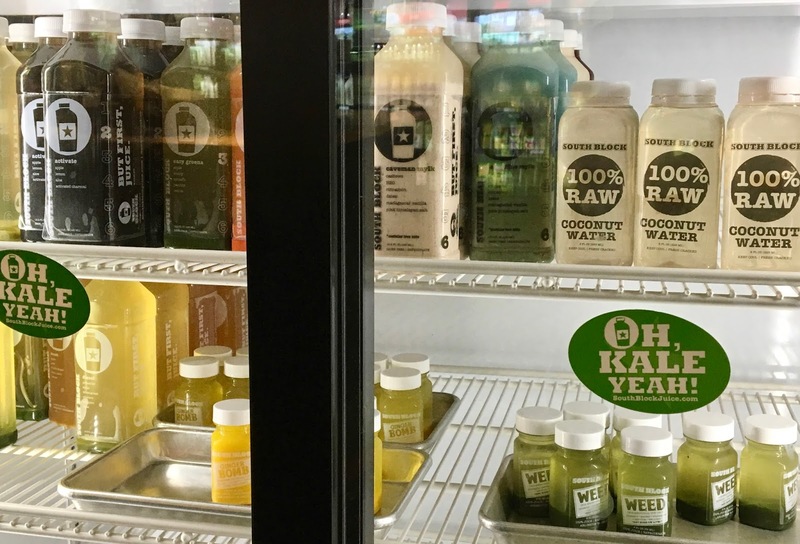 South Block Juice Co. is not your average smoothie store- and that's a good thing. They keep the focus on real food, and make eating healthy food fun. 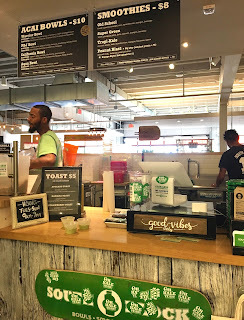 I love that everything on their smoothie/bowl/juice menu is gluten-free and dairy, which brings peace of mind and plenty of options for future visits.